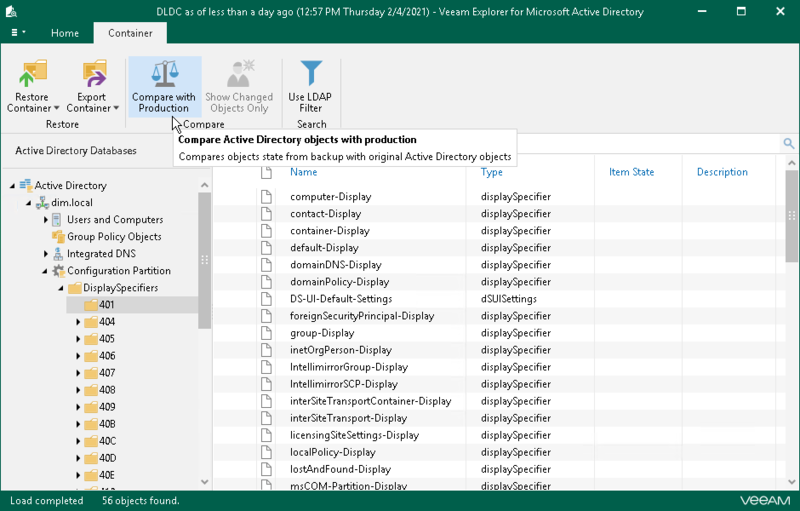 On the Home tab, select Compare with Production to detect changed, moved or deleted objects since the last Active Directory backup. Click Show Changed Items Only on the toolbar to view only those items that have been changed since the last backup. The following figure shows user accounts, the attributes of which have been changed since the last time they were backed up. 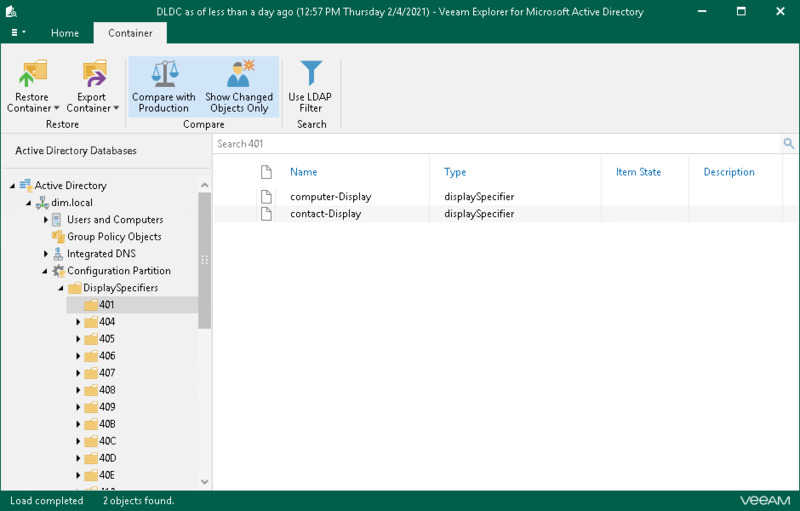 Veeam can also combine item states to represent the most accurate state of an object. For example, if object attributes have been changed and the object was moved to a different location, the object status in this case will be shown as Moved, Changed.